Coptic Christian Bishop Paul of Tanta will tell Copts to leave Egypt if the Church is not guaranteed religious jurisdiction. 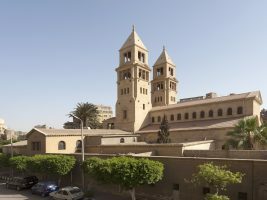 Bishop Paul, a representative of the Coptic Orthodox Church in the Constituent Assembly, is also threatening to leave the Assembly if Article II is not modified to his liking. Bishop Paul wants the contentious Article II of the constitution, which deals with the nature of the state as it relates to religious authority and principles, to include text guaranteeing that the Church will be given the mantel of authority for issues concerning Copts. “If this text is not added, I will tell the Copts: There is no longer a place for you in the land of Egypt, because it is not the right of the judiciary to rule on the clergy,” the Bishop told Al-Shorouk newspaper. The Bishop’s threat to leave Egypt taps into worries within the Coptic community and the country at large that Copts will leave if Egypt becomes more Islamic. Others are arguing that they have already begun to do this. Dr. Naguib Gabriel, head of the Egyptian Union of Human Rights, has conducted research finding that over one hundred thousand Copts have settled abroad since the revolution. This figure has been widely cited in Christian news outlets. Those numbers, however, may be very difficult to verify, argued Sherief Etman of the Egyptian Organization for Human Rights. “We don’t have numbers like this, because we would need to get this information from the government,” Etman said. He added that the government does not like to incite fear and would therefore be reluctant to research and release information about the exact number of Coptic Christians who have left since the revolution. 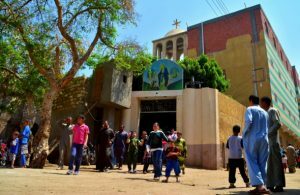 Diana Maher Ghali of the Arab West Report argues that it is impossible to have accurate statistics on how many Coptic Christians have left Egypt. The threat of a Coptic exodus was also called for earlier in the week by the Maspero Youth Union which objects to Article II. “I understand the position of these young people well, and they are entitled to express their opinions, and I am very happy with them,” the Bishop said. But the Maspero Youth Union has qualms with Article II. 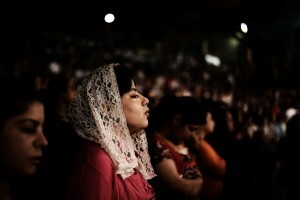 Rather than the inclusions of Coptic religious authority, a group calling itself Egyptians Against Religious Discrimination, comprised of Maspero Youth Union members, a spectrum of Egyptian rights groups and international Coptic groups, wants Article II to be the inspiration for civil law rather than grant religious jurisdiction. The recent statements by Bishop Paul echo those made by Sunni Sheikhs in Al-Azhar. 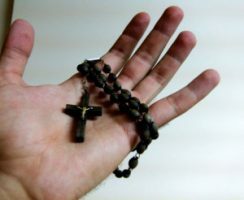 Earlier this month, Al-Masry Al-Youm reported that the Constituent Assembly representatives of Al-Azhar were advocating for an addition to Article II that would contain the text: “Christians and Jews shall resort to legislation derived from their own religions.” The proposal was greeted favourably by the Church.